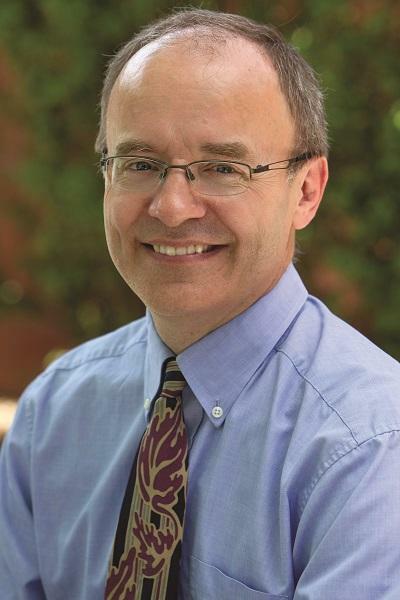 Michael Pulsipher, MD, of the Children's Center for Cancer and Blood Diseases at Children's Hospital Los Angeles has been awarded $1.3 million by the National Heart, Lung, and Blood Institute of the NIH. The funding represents a Clinical Trial Network Core Center Renewal for the Pediatric Blood and Marrow Transplantation Consortium headquartered at CHLA. The grant also provides support for an innovative clinical trial that seeks to compare outcomes for young patients with newly diagnosed severe aplastic anemia – comparing the use of unrelated-donor blood and marrow transplant to immune suppression therapy. Acquired severe aplastic anemia (SAA) is a bone marrow failure disease in which the bone marrow does not make enough red blood cells, white blood cells or platelets. In patients with SAA, where all three types of blood cells are deficient, infections or bleeding can be life-threatening. The majority of cases of SAA are caused by autoimmune destruction of the hematopoietic stem cells (HSCs) – the stem cells that effectively replenish all blood cells. SAA can be treated and often cured by either immune suppression therapy or hematopoietic cell transplantation (HSCT). "HSCT from a sibling-matched donor is the initial treatment of choice for younger, newly diagnosed patients because it offers curative therapy in most patients under 20 years of age, in addition to being well tolerated," said Pulsipher who is the chair of the PBMT consortium at CHLA. "But only 18 to 20% of patients will have matched sibling donors and consequently, the large majority of patients receive immune suppression for their initial therapy." According to Pulsipher, traditional immune suppression therapy can lead to a response in about 70 to 80% of patients. But nearly a third of patients do not respond and move to transplant, usually with an unrelated donor. While overall survival after immune suppression has generally been good, the success of long-term outcomes has been limited by resistant disease and the risk of relapse. "These quality of life issues are of particular concern when treating children — who have a long-life expectancy," said Pulsipher. Because outcomes for patients with SAA receiving transplants from an unrelated donor have improved to the point where survival is equivalent to those using a matched sibling donor, Pulsipher plans to test whether patients will respond better to the initial use of an unrelated donor transplant compared to immune suppression therapy. He currently has a pilot study underway to determine the feasibility of comparing outcomes of patients initially treated with immunosuppression compared with those who receive a matched, unrelated-donor hematopoietic stem transplant. The pilot study is a joint effort between the Pediatric Blood and Marrow Transplantation Consortium (PBMTC) and the North American Pediatric Aplastic Anemia Consortium. If the study is successful, it will form the basis for a Phase III randomized trial. "If the trial shows that unrelated donor transplant is better than immune suppression, as preliminary data suggest, it will lead to better long-term survival, changing the current standard of care for young patients with SAA," added Pulsipher. The PBMTC, headquartered at CHLA, is the largest clinical trials group focused exclusively on blood and marrow transplants for children and adolescents. It's a group of 90 pediatric transplant institutions throughout North American, Canada, New Zealand and Australia, with affiliate members in Europe, South America and Southeast Asia. Follow us on Twitter, Facebook, YouTube, LinkedIn and Instagram, and visit our child health blog (CHLA.org/blog) and our research blog (ResearCHLABlog.org).